The countdown is ticking away, the excitement is increasing: there are just a few weeks until the Concorso d’Eleganza Villa d’Este 2019. This issue of “Corriere d’Eleganza” today brings you all the latest news about the Jurys for automobiles and motorcycles, about the award classes for the automobiles and other highlights of this year’s event. Apart from the prizes conferred in the Public Referendum, there are a number of awards – including the most important prize “Best of Show – which are decided by a distinguished Jury. They are all automobile experts and devoted connoisseurs of the scene. The President is Lorenzo Ramaciotti, former Chief of Design at Pininfarina and the Fiat Group. He is supported by Ian Cameron (former Chief Designer at Rolls-Royce), Winston Goodfellow (Journalist and Automobile Historian), Harm Lagaaij (former Chief Designer at Ford, BMW and Porsche), Patrick Le Quément (former Chief Designer at Renault), Charles Henry Gordon Lennox, 11th Duke of Richmond (British Peer, Promoter of Motor Sport and Founder of the Goodwood Festival of Speed), Adolfo Orsini (Expert on Historic Motor Sport), Stefano Pasini (Author of Automobile Books) and Johann Philip Rathgen (Automobile Journalist). This Jury is complemented by four Honorary Judges. Three women who are all experts in classic cars: Quirina Louwman, Yasmin Le Bon and new member Laura Kukuk. The quartet is completed by Shiro Nakamura (formerly Chief Creative Officer at Nissan, Infiniti and Datsun), who is also here for the first time. The Jury for the Historic Motorcycles has two presidents at the same time: Francois-Marie Dumas (former Motorcycle Journalist and Product Consultant at Yamaha) is President of the Jury. 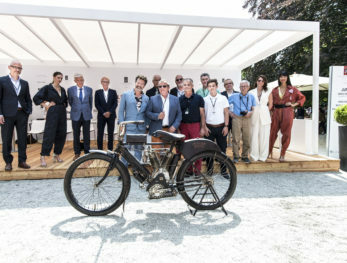 He is supported by Carlo Perelli (Doyen of the Motorcycle World and former Motorcycle Journalist), who was sole President of the Jury for many dedicated years and who now acts as the Honorary Jury President. Who are the other members of the Jury? The two presidents are joined by six other Jury members. Sara Fiandri (Fashion Editor at Cosmopolitan and passionate Motorcycle Rider), Mick Duckworth (Motorcycle Journalist and Book Author), Paul d’Orleans (Co-founder of the Motorcycle Film Festival and the Motorcycle Arts Foundation), Arnost Nezmeskai (Director of the National Technical Museum in Prague), Ralf Rodepeter (Head of Brand and Product Management at BMW Motorrad). Beatriz Gonzales Eguiraun is a new member of the Jury this year (TV Journalist and Motorcycle Expert). 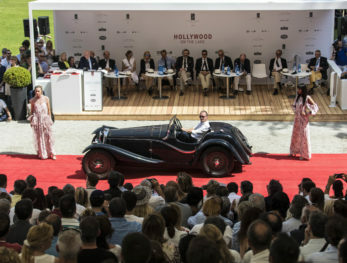 52 classic cars from different decades have been chosen by the Selecting Committee and they are divided into eight award classes. And at this stage, we can reveal that all manner of cars are represented that will make the heart of classic car enthusiasts beat a little faster. They include exceptionally rare examples, vehicles of stunning elegance, spectacular representatives from motor sport and automobiles that in their era were regarded as inspirationally futuristic. Goodbye Roaring Twenties: The Birth of the Concorso. 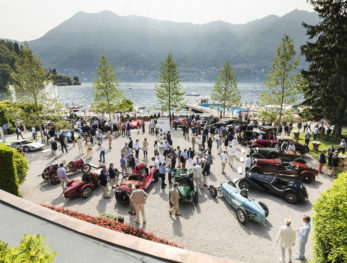 This class with participants from the late 1920s recalls the birth and the early years of the Concorso. Fast forward: A Quarter Century of Progress. This class features vehicles from the years 1914 to 1939 which defined benchmarks in their time – for engineering and design. A new Dawn: Into the Rock’n’Roll Era. This class is unmistakeably directed towards automobiles from the 1950s. These are vehicles which even then were regarded as dream cars in the post-war era. Swinging Sixties: The Sky’s the Limit. Breathtaking sports cars from the 1960s are represented here. Breathtaking in design and breathtaking in power. Small and perfectly formed: The Coachbuilder’s Art in Miniature. Compact vehicles are by no means a recent invention. Automobiles with compact dimensions were already being designed in the 1950s and 1960s. Undoubtedly, well proportioned and elegant, but also rather idiosyncratic at times. Baby You Can Drive My Car: Musical Stars’ Cars. Exclusive and coveted sports cars from the 1960s to the 1980s with famous previous owners from the world of music. Speeding Against the Clock: Endurance Racing Legends. These vehicles were created for the battle against the clock. Spectacular endurance racing cars between 1949 and 1966. Daring to Dream: Concepts which rocked the Motoring World. In the 21st century, the world is debating whether the future of the automobile lies solely with e-mobility. During the 1960s and 1970s, the perspective for the future was focused almost entirely on the design. Every year many collectors and fans of historic vehicles apply to participate in the Concorso d’Eleganza Villa d’Este. 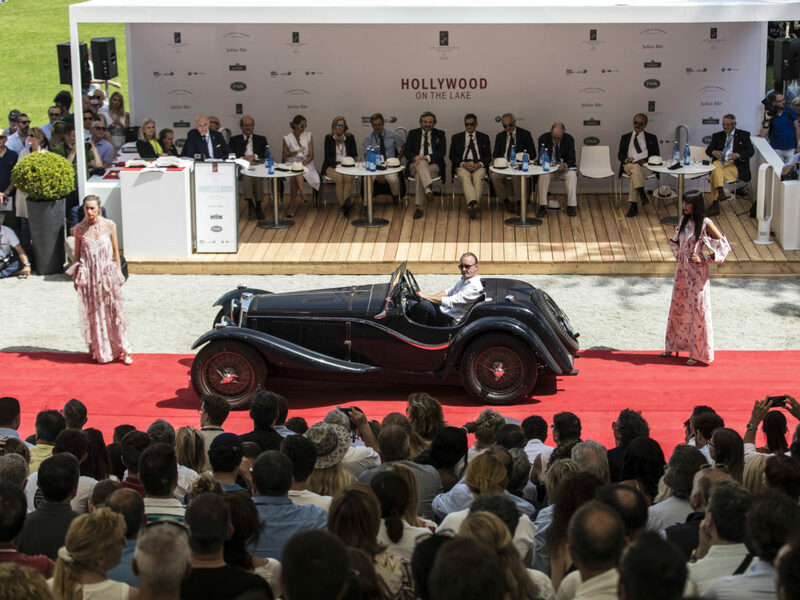 For the Selecting Committees of Historic Cars and the Motorcycle Concours it is a tough job to decide which of the treasures will be accepted to participate. However, the call lists for 2019 are closed, all decisions are made and we are looking forward to the presentation of 52 outstanding historic cars as well as 35 more than remarkable motorcycles in May. On 15th May 2019, a joint press conference will be held at Milan’s Scala with Grand Hotel Villa d’Este, BMW Group Classic and BMW Italia. The call lists for the Historic Car Concours, Concept Cars & Prototypes as well as for the Motorcycle Concours will be published in the course of the conference.